It's April Fool's Day, a landmine of internet content where video game companies make fake announcements as a form of gentle ribbing. Sometimes the jokes are funny; and sometimes they're so good that we want them to be real but they're not and we end up sad as a result, which is ultimately a net negative. Either way, here are some highlights from this year's April Fool's Day. Kirby is iconic. That means everything about it is recognizable from its voice, abilities, and shape. Well, not anymore as the official Japanese web page for Kirby revealed a new form factor: Square. Kirby is square now! That's permanent (for April Fool's). Oh, and BoxBoy? He's circular now. Sorry. IGN has a history of quality April Fool's gags and this year is no different. For 2019, the video game media company released its own Nintendo Direct complete with visuals, host, and game reveals. Turns out every game under the sun is coming the Nintendo Switch this year, including every Legend of Zelda game, Grand Theft Auto 5, Overwatch, and Half-Life 2. Good lineup I say. 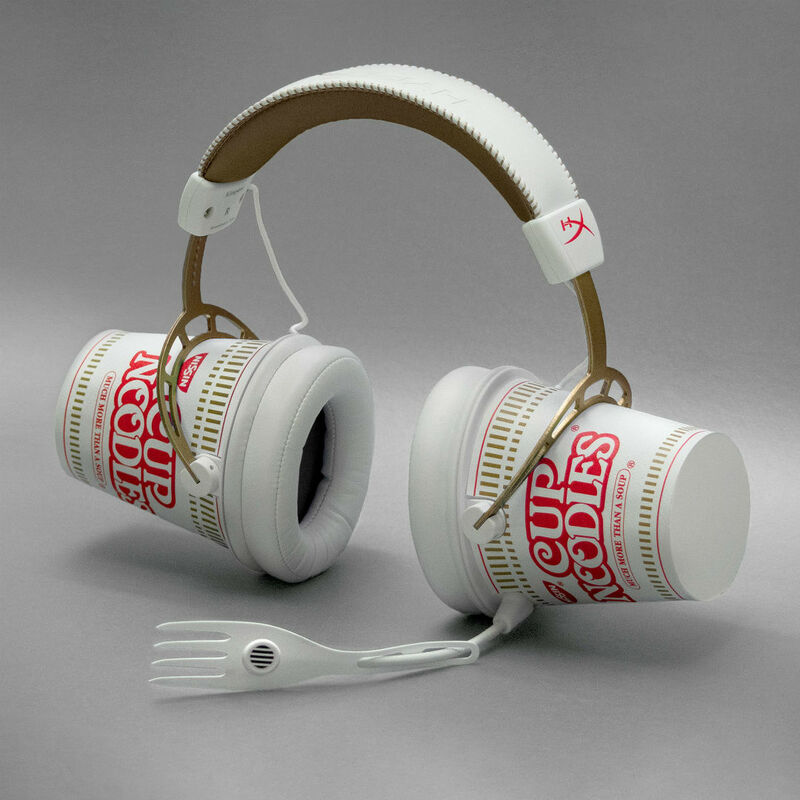 I genuinely want these "HyperX/Nissin Mix-In" headphones the Japanese cup ramen company unveiled today for April Fool's. The fake website for the headphones include images of the cup noodle driver designs and plastic fork mic. The mic even comes with built in noise cancellation to block out slurping-based reverberations. The Ubisoft For Honor team already got in on the April Fool's action by unleashing a horde of Rabbids into the combative world of For Honor. But for April Fool's this year Rainbow Six Siege is leaning hard into its name with the "Rainbow is Magic" event. From April 1 to April 8, players can get 17 exclusive new, candy-colored items and play on a reimagined plane map decked out in pastels. It's pleasant and nice and playable right now. Online artist Mike Inel created a fictional Nintendo mobile game spinoff for Splatoon 2 called Splatoon Island. Kind of like a hybrid between Splatoon and Animal Crossing Pocket Camp, Inel's fictional game takes the world of Splatoon and turns it into a vacation sim complete with romance, a seaside resort to explore, and mini-games. This one kind of speaks for itself. The official Sonic the Hedgehog Twitter account unveiled Sonic Royale, a battle royale-style game where 100 Sonics enter, and one leaves. The question is if this were real how would it work? I think the Sonic series actually has enough characters to fill a 100-person roster, but maybe players could also just create their own Sonic-sonas? We demand answers. Here's a novel one. The official Final Fantasy XIV YouTube account uploaded a new trailer for Final Fantasy XIV: Omega. It's a new smart home assistant similar to Amazon Alexa and Google Home only it's based on an evil primal hellbent on destroying the planet. It can also probably tell you how many teaspoons are in a tablespoon if you asked nicely enough. Sega's Ryu Ga Gotoku studio released a behind-the-scenes look at this Yakuza turn-based JRPG. The UI design lifts a little too much from the Persona series for my liking, but remember, it's still in development! (It's not in-development, it's a joke). PlatinumGames announces plans to self-publish a new IP starring a brand-new hero. Be aware of "Chief Executive Omni-Weapon Keni-ichi" however, he seems to want your money pretty badly. Some hero. Devil May Cry 5 gets a new playable hero...You! Capcom is looking for players to come forward and become the next playable protagonist in Devil May Cry 5 to join the likes of Nero, Dante, and V. That means anyone, even this random demon, can be the hero in Devil May Cry 5. Okay, no, they can't. But hey, the Bloody Palace update is now live, for real. There are a ton of other April Fools gags from places like Google, Dragalia Lost, Bethesda, Blizzard, and more. But as far as jokes go, these 10 listed above were the ones that got me to turn my head in genuine bemusement. Happy April Fools! Tagged with April Fools,	Articles,	Battle Royale,	Capcom,	FPS,	kirby,	Nintendo,	PC,	Platformer,	platinumgames,	PlayStation 4,	Sega,	Shooters,	Sonic,	Square Enix,	Switch,	Ubisoft,	Xbox One.